According to the Bureau of Labor Statistics’ 2011 job survey, Tennessee employed over 4,400 paralegals and legal assistants with the concentration of those in major metropolitan areas such as Memphis, Knoxville and Nashville. As the demand for educated paralegals rises, nearly 75% of employers were reported as having paid for further paralegal education and almost as many were reported to pay annual Tennessee Paralegal Association dues for their employees (where applicable). 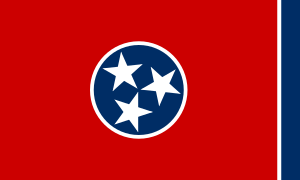 Like most states in the nation, Tennessee holds to no strict educational guidelines; anyone can be a paralegal as long as they are employed in that capacity. However, the field is plump with many paraprofessionals vying for the same jobs. Generally speaking, most employers will favor the potential hire who has the greatest skills set, experience, schooling or all three. While a paralegal can be trained on the job -and perhaps a very small firm might desire that so training is via a specific style- the best paying jobs with the best benefits and highest pay goes to those who have invested time in formal schooling. There are other ways to stand amongst a sea of hopefuls, too. While a degree (Associate’s, Bachelor’s, Master’s or Juris Doctorate) or a Post-Baccalaureate certification will allow a paralegal to brand herself a certificated paralegal, it’s not the same thing as a Certified Paralegal. The title Certified Paralegal comes from taking and passing an exam sponsored by one of three national associations. There are four possibly exams to take, each with their own criteria so it’s prudent and necessary to investigate the prerequisites. In some cases a paralegal can use experience and the sworn statement of an attorney to fulfill the test needs without further education. Most exams will require some schooling and training. The four exams and the three associations are the CLA/CP sponsored by the National Association of Legal Assistants (NALA); the PACE and the PCC, both sponsored by the National Federation of Paralegal Associations (NFPA); and the PP sponsored by the Association for Legal Professionals (NALS). There is a fee for each sitting, so be prepared for those as well. Chattanooga State Community College in Chattanooga is a public, 2 year school offering an AAS (Associate of Applied Science) in Paralegal Studies. It is designed to last 61 semester hours and seamlessly transfer to the University of Tennessee at Chattanooga for completion as a Bachelor of Science degree; it’s also offered as a night course. The AAS can stand on its own, as well if further study is not immediately desired. Internships are elective. Kaplan Career Institute (f/k/a Southeastern Career College) in Nashville is a proprietary school that offers both an Associate of Applied Science (77 week-long course), and a General Practice Paralegal Certificate (roughly 52 weeks long). Practical skills are stressed over theory and internships are required for both degree and certificate. Pellissippi State Community College (f/k/a Pellissippi State Technical Community College) is located in Knoxville and is a public, 2 year school offering an AAS in Paralegal Studies. Classes are all taught by practicing attorneys and internships are required. Roane State Community College in Harriman offers a 2-year AAS degree in Paralegal Studies. South College in Knoxville offering an Associate in Science degree (generally 2 year), a Bachelor of Science degree (usually 4 year), and a Certificate (generally runs one year but varies by school and program). Internships are mandatory for completion. Southwest Tennessee Community College in Memphis is a public, 2-year school extending an AAS degree in Paralegal Studies. While this course usually takes 2 years to complete, prior schooling may fast track the process. This school has an exceptionally high employment rate. Internships are mandatory and have a few requisites that must be met first. University of Memphis in Memphis is a public, 4-year school offering a Bachelor of Professional Studies degree in Paralegal Studies. Internship is required for course completion. University of Tennessee at Chattanooga in Chattanooga is a public, 4-year school offering a BA in Paralegal Studies with mandatory internships. 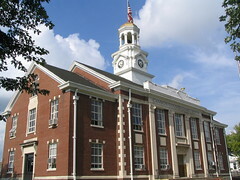 Volunteer State Community College in Gallatin is a public, 2-year school offering an AS and an AAS in Paralegal Studies. It takes a minimum of 60 semester hours to finish the course and internships are elective. Walters State Community College in Morristown is a public 2-year institute offering an AAS with elective internships. While there are many entities that hire paralegals and many fields of specialty to enter such as divorce paralegal, environmental paralegal and immigration paralegal with potential workplaces like corporations, government agencies and banks, the most visible employers will those at large firms. Below is a truncated list of firms in Tennessee known for hiring entry-level legal assistants and often.